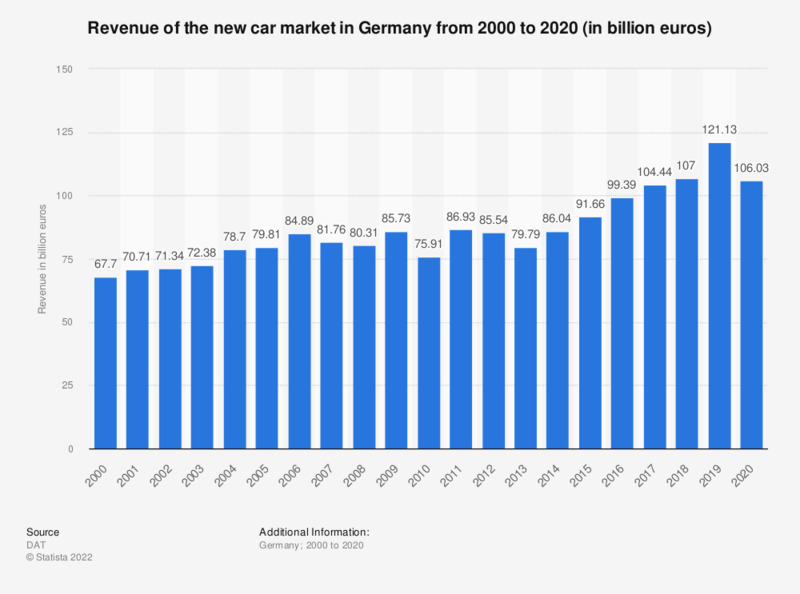 This statistic shows the revenue of the new car market in Germany between 2000 and 2017. In 2017, the revenue amounted to roughly 104 billion euros. Figures before 2014 were provided by earlier DAT reports.